It's been a few tough days. I haven't updated, but will try to catch you up now. April 5, 2016 - I was taken to Puebla Hospital in order to have the catheter (PIC Line) surgery. Afterwards, I went through a short recovery and then taken back to the apartment to rest. April 6, 2016 - We stayed in the apartments to rest from the surgery. Pretty non-eventful. April 7, 2016 - Cell Harvesting day. 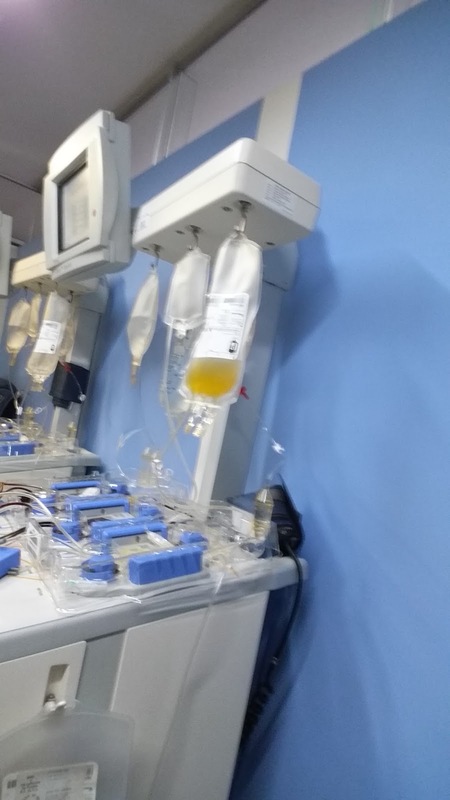 We were driven back to Clinica Ruiz and hooked up to the apheresis machine. I was selected to be placed on a new machine, where there were two instructors guiding the doctors through the process, so I was surrounded by a lot of people throughout the whole process. After a few hours, they sent me away to have lunch while they counted my stem cells. 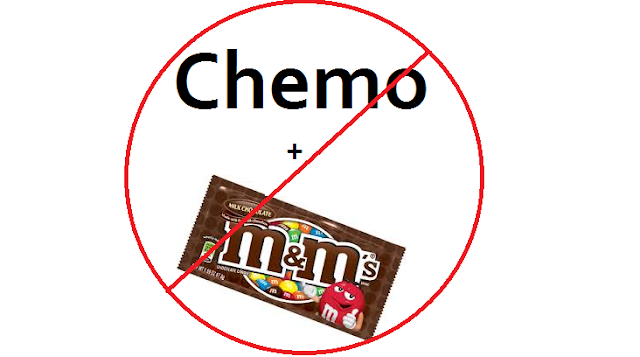 If I had enough, I would start chemo right after, but I was about 30 million short of where I needed to be. I was given another Filgrastim shot and sent back to the apartment. I was initially pretty upset as everyone in Group 1A had gotten their needed cells, except me. I had to have a talk with myself stating I was going to be okay and my turn would come soon. Soon after, I received a call from Bhakti (Ragesh's wife) stating that none of Group 1B had gotten to their numbers, so we were all going through the same. April 8, 2016 - Cell Harvesting Day 2. I was again hooked up to an apheresis machine, but one of the tubes from my PIC line was not working. The doctor had to remove my stitches in order to slightly adjust the PIC line and get the blood flowing. It worked for a while, but was very slow. 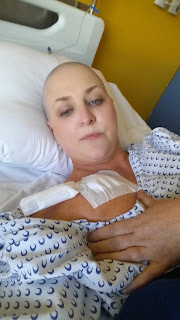 By removing my stitches, it would mean that they would have to completely remove the PIC line after chemo that day as it would be unsafe to continue with it like that any longer. However, about an hour into the apheresis process, I experienced a sharp pain in my chest and could feel a warm wet feeling. I looked down and saw blood soaking my shirt. The doctor was very close by and was able to get it under control, but what this meant was that the PIC line was blown and had to be removed right then. He was able to insert catheters into both of my arms and route the apheresis that way. Definitely not ideal, but it worked. After lunch, Nurse Laura came in with my chemo, so I knew I was good to go. 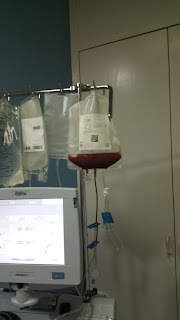 I ended up with 105 million stem cells... YAY - We sat there for another 5 hours while I received my chemo (round 3). April 9, 2016 - Last Day of Chemo (round 4). Got very nauseous today, but Scott & I did share some M&M's earlier. I haven't eaten chocolate for about a year, so it was probably a bad decision to try to mix my chemo with M&Ms.